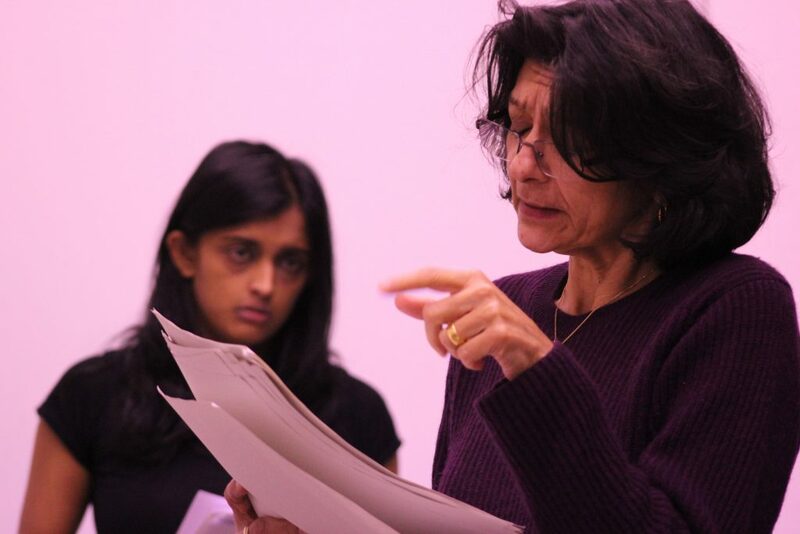 Performed readings of seven provocative, funny and courageous new plays. 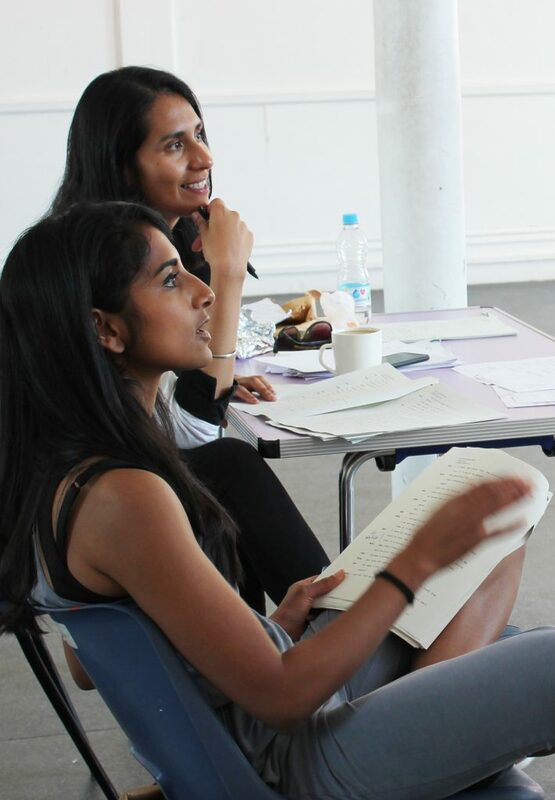 It’s the culmination of our nine month Writer Development Programme -inspiring and training South Asian women to write for performance. 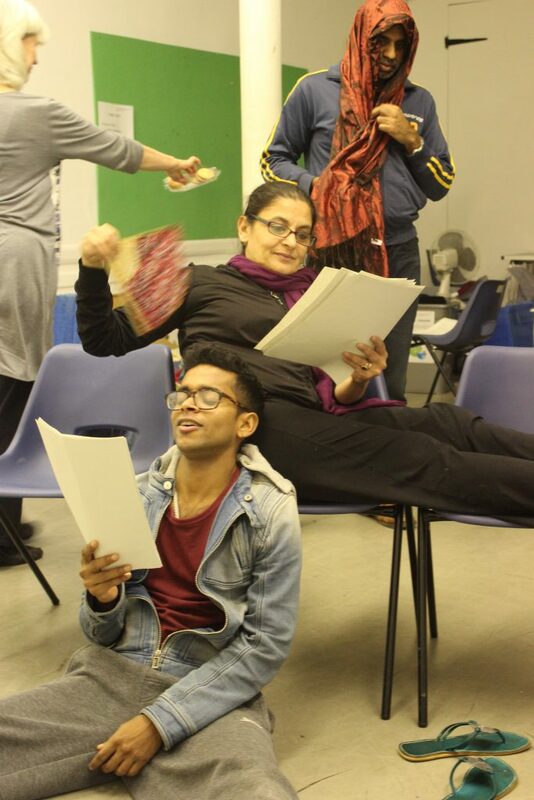 Come and catch some of the freshest and most original voices in new theatre writing. After losing both her job and her mother, an ambitious 30-something struggles to keep her dating game and career on track while caring for her aging dad. When her stoner childhood sweetheart turns up she discovers chaos comes in many forms. Care-giving, spirituality and Ibiza parties fuse in this witty and tender play that gets to the heart of Generation X woes. Charming but unscrupulous Sheila runs an animal welfare office in Sri Lanka. When a dove due to be released during a peace ceremony dies in mysterious circumstances, the government ask Sheila to help solve the looming political crisis. This madcap comedy features animal rights, corruption, regime brutality and bird droppings. In this modern-day romance, a creative soul meets a rising corporate star and their instant attraction blinds them to each other’s flaws. Ash and Asha fail to notice the depth of their differences until the cracks in their relationship appear and they are forced into a momentous decision which will affect their lives forever. Mama’s Brixton café is her livelihood but also her home. The community she feeds are her family. When her landlord decides to evict her to ‘regenerate’ the area she and her ‘family’ are forced to discover what home really means. In this modern day Greek tragedy, unlikely hero Hanuman finds himself orphaned after the sudden death of his scientist father Dr Reddy, the inventor of a gadget that enables animals to speak in human language. Cheered on by a chorus of crows, Hanuman must find the courage to reveal this invention to the world and save all animals from extinction.